Fatty foods are worrisome to health professionals and consumers alike, and for good reason. Obesity rates are alarming, and people of all ages struggle to control their weight. 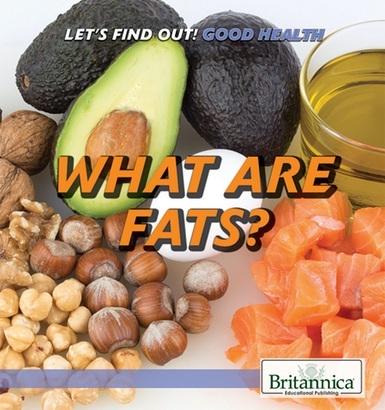 Many fail to understand, though, that fats are necessary for growth and for maintaining healthy bodies. They cushion and protect vital organs and store reserves of energy. This volume explains for young children both the positive and negative aspects of fat-containing foods. It differentiates the types of fats people consume, notes the links between fats and calories and fats and cholesterol, and addresses such issues as the dangers of dieting by fasting. Trim : 8" x 8"
Rosen Publishing, Inc. is an independent educational publishing house that was established in 1950 to serve the needs of students in grades Pre-K -12 with high interest, curriculum-correlated materials. © 2019 ROSEN PUBLISHING. ALL RIGHTS RESERVED.